Streamers flutter in the wind as music drifts through the air. Dancers spin, mimicking papier-mâché figurines rotating so the crowd can see them from all angles. People cheer as the float rolls by, the marching band in front, cowboys on horses behind. This is the classic image of a float sailing through a parade. The two are synonymous. You cannot say the word “float” without thinking about a parade and all that comes with it. 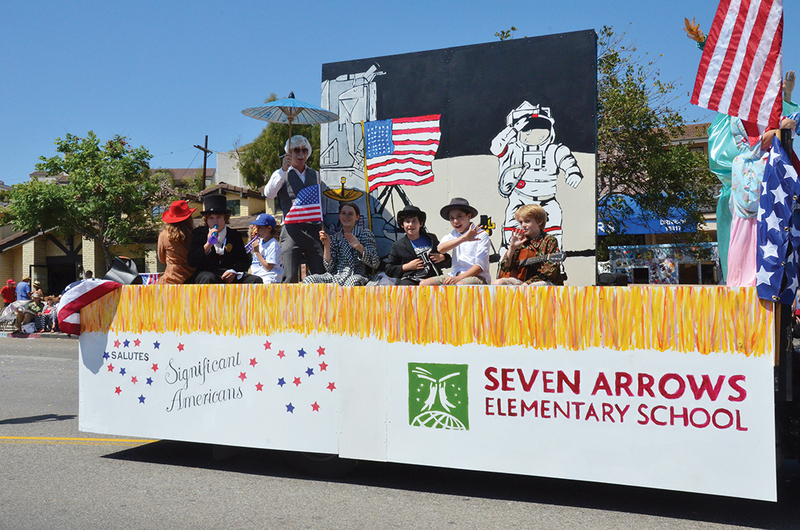 Seven Arrows Elementary School’s float was a welcome entry in the 2015 parade. 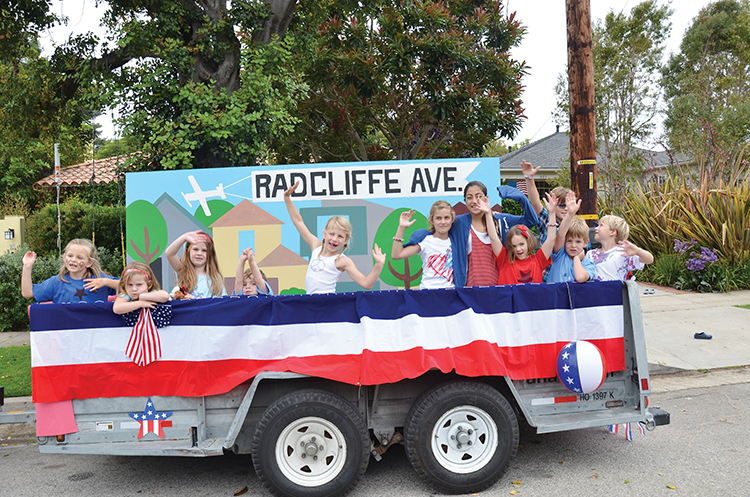 Every year the Palisades Fourth of July Parade brings joy to children and parents alike. From skydivers to camels, the parade never ceases to surprise and amaze. However, every year it is strangely lacking in floats. Perhaps this is due to the supposed cost of floats or the expected decadence required to create a proper float, but floats really are not that complicated. They don’t have to be covered in flower petals as in the Tournament of Roses Parade or sport a giant floating character as in the Macy’s Day Parade. Instead, a float can be anything you want it to be, and relatively easily, too. After all, floats are essentially made of a moveable base decorated thematically. The hardest part about making a float is choosing a theme. Although a theme is not required, it makes it easier to construct a float when there’s a focus. Do you want to send the Palisades a message? Do you want to shout to the world how much you love dogs? Do you want to brag about your gardening skills? A float is definitely the place to do one, or all, of these things. 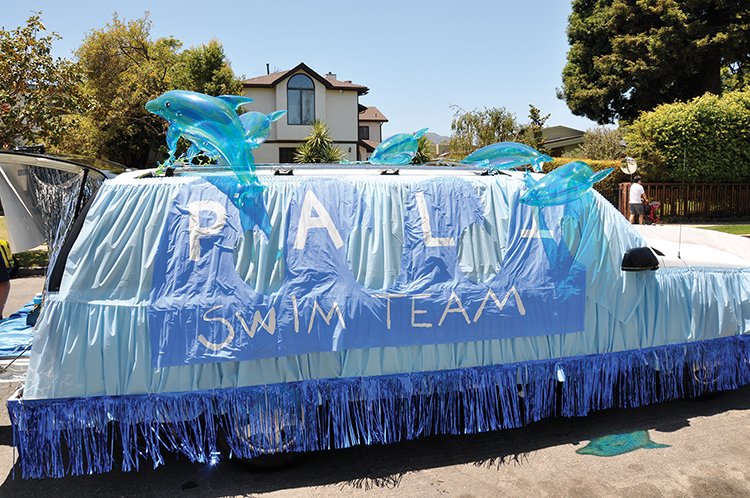 One year Palisades High School students decorated a Chevy Suburban in an effort to raise money for a swimming pool on campus. Once the theme has been chosen, then you can decide how best to showcase your idea. First things first, you must choose a base. A base can be composed of almost anything that moves, including a human. A “classic” float uses a flatbed trailer or a hay wagon, but don’t feel limited by what has already been done. Shopping carts, golf carts, cars and truck beds work equally well and, for a more unique float, use a boat sitting on its trailer. Once the theme and vehicle are chosen, then the real fun begins. Decorations are what turn a golf cart with a cat theme into a feline masterpiece. Decorations can be anything you want them to be. They are also the most dangerous part of the float because it’s easy to walk into a Michael’s and want to buy everything. Floats, especially on the Fourth of July, tend to be bejeweled with pomps, a.k.a. tissue paper designed to look like paper starbursts. The best way to create a collection of pomps is to spray chicken wire with ad- hesive and then stuff the pomps into the holes. The chicken wire can then be easily wrapped around something or nailed to a piece of plywood. The basic materials of a float might include crepe paper, craft paper, paint, wood, papier-mâché and spray paint. They can also be items you have lying around the house. Do you have old records that don’t work anymore? Glue them into a statue and make them part of your creation. Are you sick of your lace tablecloth? Use it as skirt for the base of the float, or decorate the windows of the vehicle carrying your creation. Do you have half a dozen balls of yarn you’re never going to make into that complicated sweater? Wrap them around a papier-mâché figurine or knit them into a cover for the cab of your flatbed truck. The finishing touches will be costumes that match your theme and maybe even some music, played through a boombox attached to a portable generator. The point of a float is not to have the most artistic float or even the most expensive, but instead to have a float that is creative and fun to make. No matter what your float becomes, people watching this coming parade will cheer you on.